Artelac Nighttime Gel Lasting Hydration For Irritated Dry Eyes 10G. Artelac Nighttime Gel - lasting hydration for added protection from persistent irritated, dry, gritty, painful eyes. 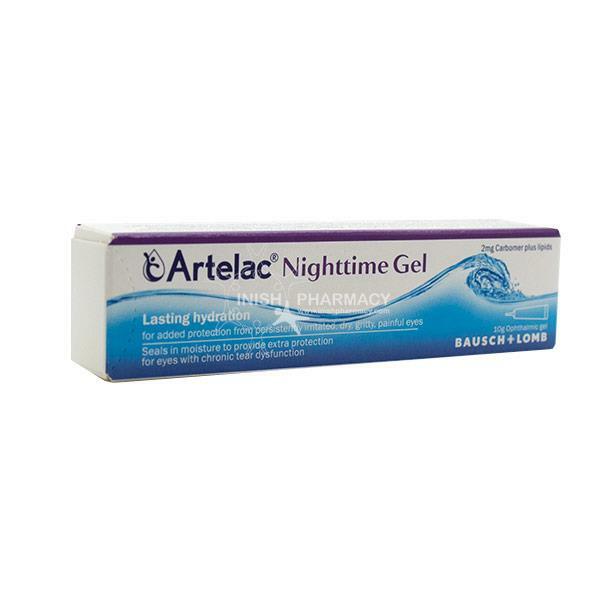 Can also be used in the daytime but Artelac Nighttime Gel is especially useful to provide long lasting relief form dry eye symptoms overnight. Apply a small amount of Artelac Night at night to provide long lasting prtection form dry eye symptoms. Artelac Nighttime Gel supports all three tear film layers. It's components work like natural tears to help strengthen and support the tear film by sealing in moisture for lasting relief. Remember that the lipid layer is critical to seal in the moisture that helps your eyes.